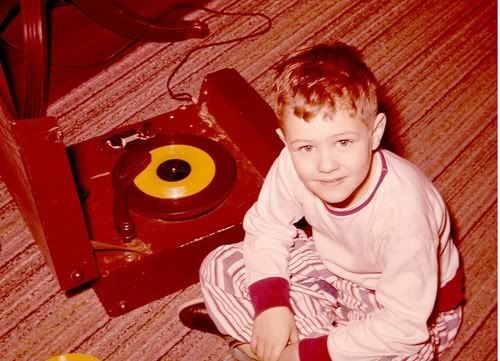 Back in the spring, on a rainy afternoon, Wolfie and I had a little dance party with the record player and I did a little post about it. We looked at some really awesome record art and ya’ll seemed to enjoy it! 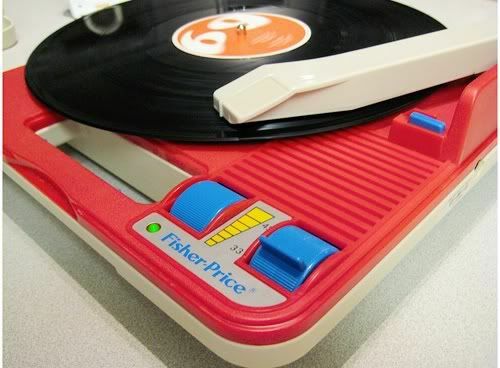 Ya know, it’s kind of crazy but kids today won’t ever really know what an LP is unless we show them! Sooo, since it was such a popular post, I thought it was time to take a look at some more records. The music is always charming and fun, but it’s the album artwork that is the real star. This record is all kinds of awesome. The amazing artwork. 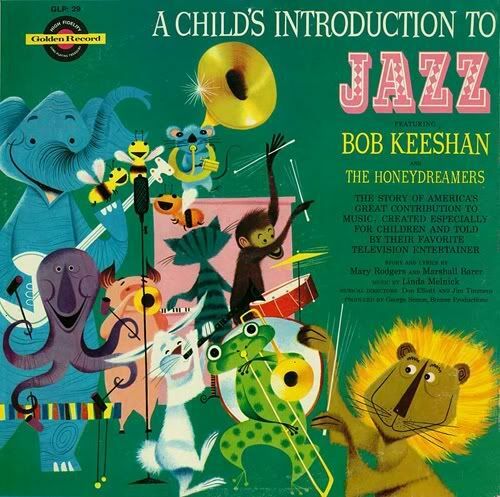 The fact that it’s a Child’s Intro to JAZZ….and then the artist is Bob Keeshan and The Honeydreamers. AMAZING. 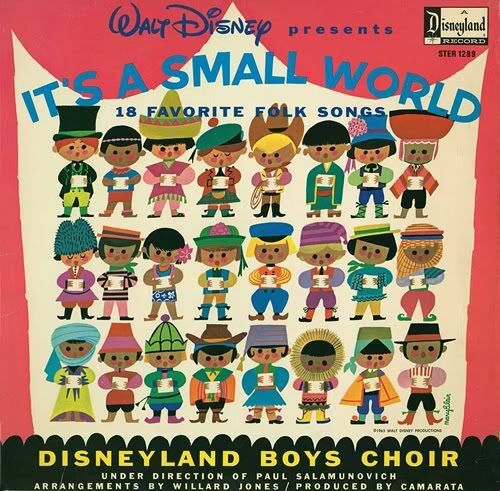 Of course my top faves were the storybook records. 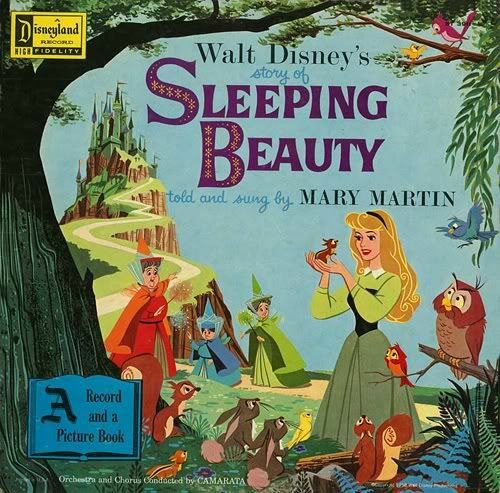 “You will know it is time to turn the page, when you hear the chimes ring like this…..” Bllllling. Soooo cuuuute those happy little kiddos! I love the categories: Cowboy songs? check! Animal songs? Check! 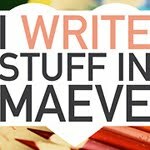 Railboard songs? Check! SOLDIER SONGS???? Hmmm. 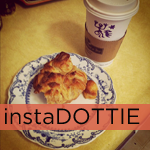 Not quite as peppy…. 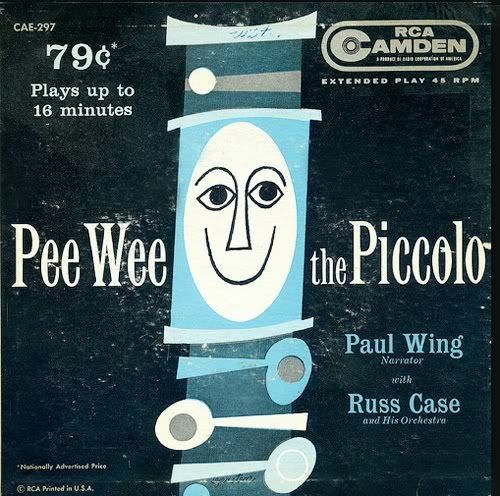 Pee Wee the Piccolo is the bomb. Look at that sassy face….. 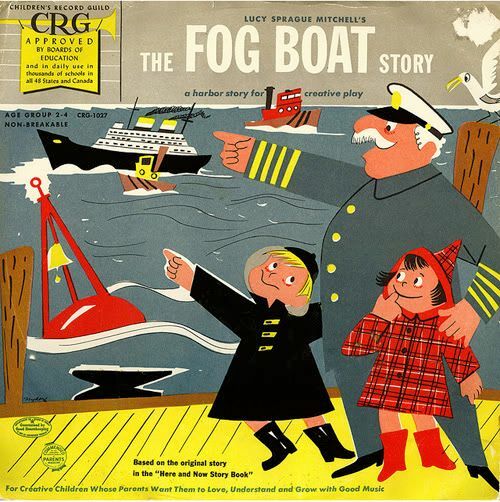 I am not sure what the Fog Boat story is, but i’m intrigued! I love this artwork. 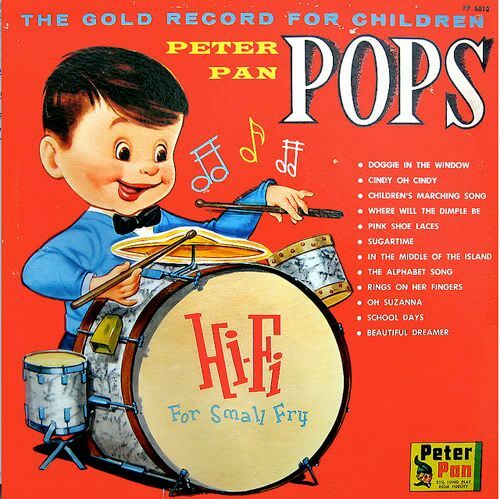 This fella is a leeeetle creepy looking, but the name Hi-Fi for Small Fry is so good I don’t even care! I love me a banjo and these two fine fellers are so great. 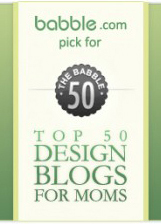 The type is so modern….you can see how today’s designers are totally influenced by the past! Uh oh….sheeee’s baaaaack. Everyone’s favorite singing, religious ventriloquest. 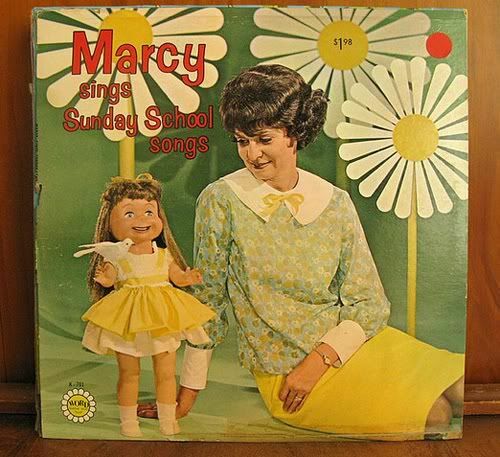 Lord have MARCY! Sigh. OK. feeling better now. Moving on….how about THE MINI POPS??? 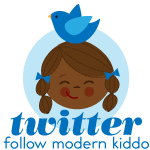 Best kiddo has to be the chick on the far laft with the monkey on her shoulder. What what WHHHAT? Oh wait, that jazzy Jane Fonda boy in the front with satin shorts is pretty fab. Then again maybe the 40 year old 9 year old at the top wearing black leather gloves….or maybe the safari kid…decisions, decisions…. Finally, the smooth graphic stylings of old skool Sesame Street. 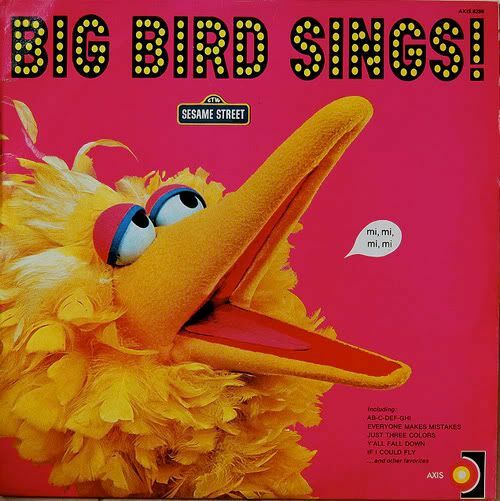 One of my faves, all I can say is mi, mi, mi loves Big Bird! 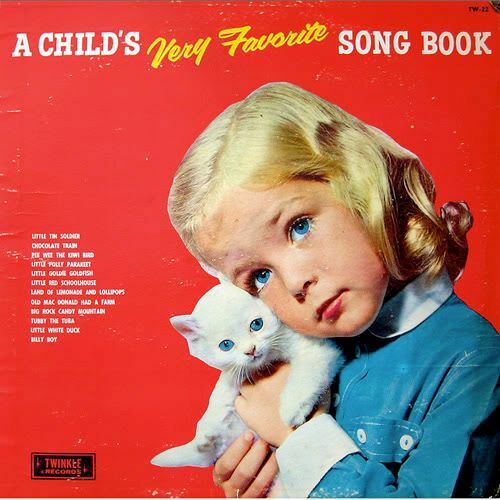 For more fun vintage kid album art, check out our original post HERE. 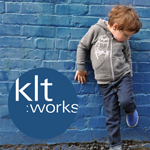 Happy Monday Kiddos! 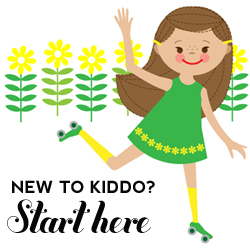 MODERN KIDDO TIP: You can easily find vintage kiddo records at thrift shops and on ebay. The tricky part is making sure they are in great condition. 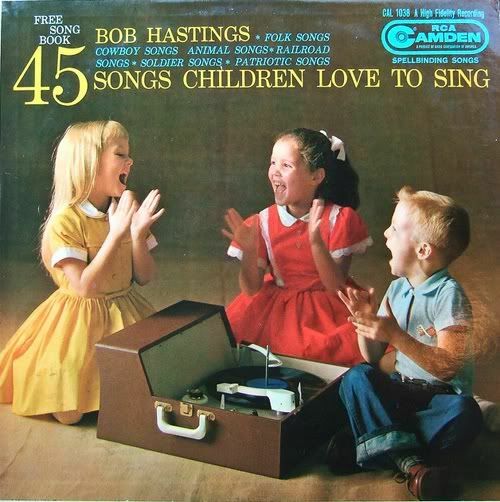 Most vintage children’s records are sadly a little trashed, but you have to remember that these are albums that are well worn and well loved. I’ve been pretty lucky to score many that are in primo condition, and it makes a difference! Be sure to check (or ask questions) when buying! 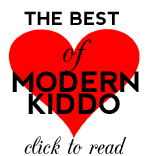 If you don’t have a record player, that’s ok….you can frame the albums and hang them in your kiddo’s room. If the record label is cool, or it’s pressed on colored vinyl, you can even hang the record itself! 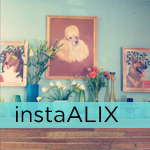 Posted in Best of Alix, Vintage Toys + Fun Stuff. 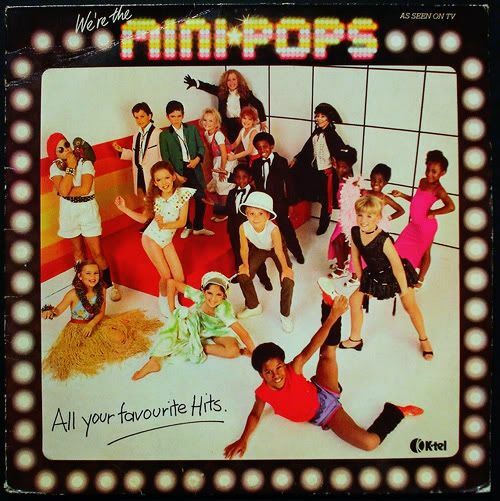 The Mini Pops were SO the kids who didn’t make it to the finales of Star Search! 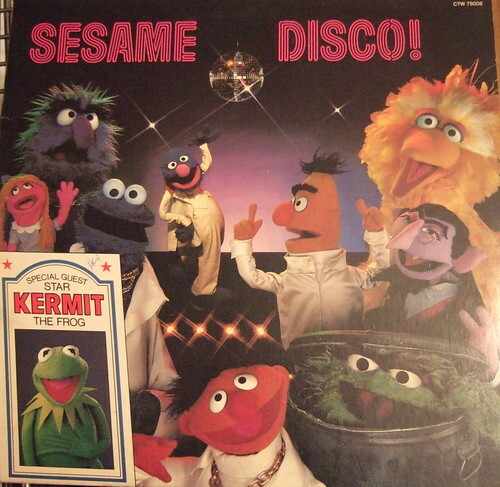 The record I had and loved–Sesame Disco! 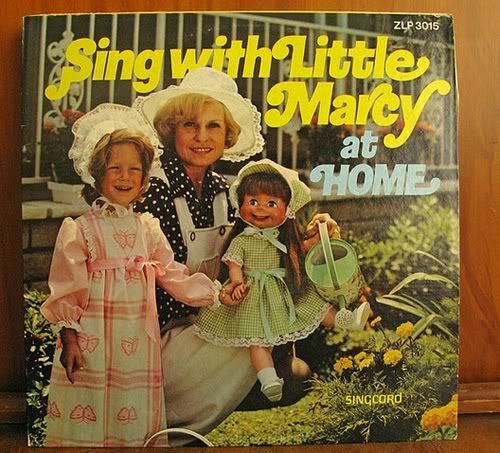 I wish I still had my record player, it’s somewhere in my in-law’s basement…That Marcy scares the crap out of me, by the way. 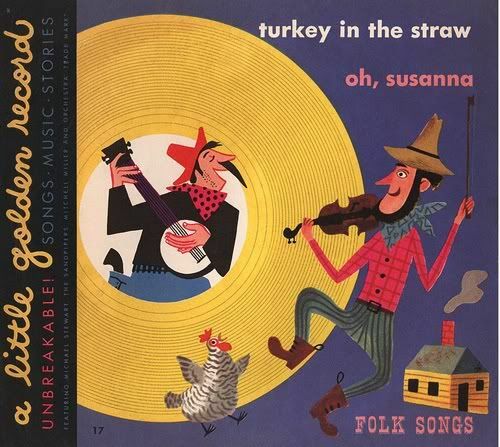 I love these old record sleeves, the illustrations are fantastic and make fun, quirky wall hangings for kids’ rooms. Thanks for the mention in the lovely Babiekins post – Priscila deserves all the praise she gets, a lot of work went into a bumper second issue, looking forward to number 3! 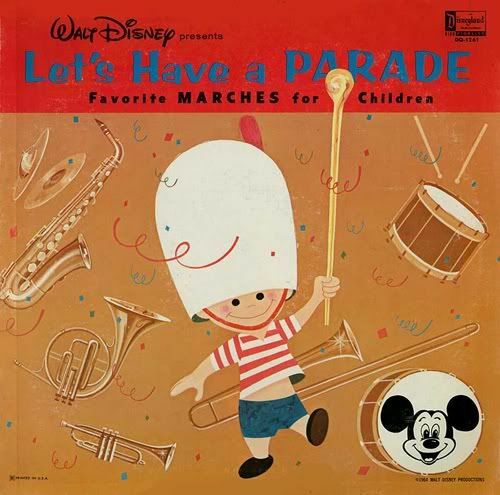 I love those Disney record covers. Awesome! I love those old records. Brings back so many memories. I used to sit in my room and listen to yellow submarine and the Bambi soundtrack, over and over.